I never thought I'd have the opportunity to learn about the long pole Luk-Dim-Boon Kwun (Six-and-a-Half-Point Long Pole), 六點半棍. There is never just one answer in Wing Tsun. And that's how Sifu Ralph teaches. It is apparent from his teaching that he has studied Wing Tsun in great detail. There may be differences in the exact micrometer of fingernail placement between lineages of WC/WT/VT, and more often than not there are arguments of which one is the most "traditional". 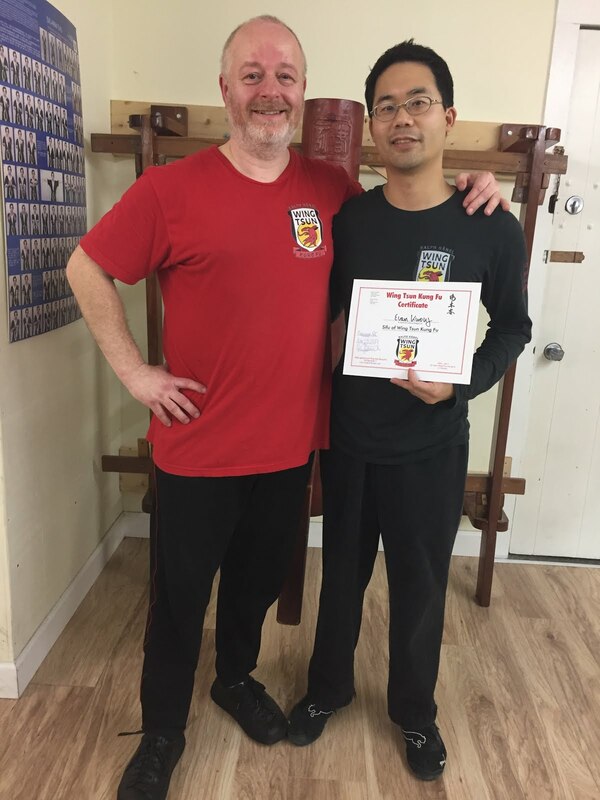 Sifu Ralph passes on his understanding of various methods/movement patterns, but keeps the core principles the same. He may teach/show seemingly contradictory movements, but shows that in the right scenario or purpose, both can be correct. One of the problems that I have with building the right structure and function of Wing Tsun is connecting the legs, core/trunk, and arms together. Another issue is keeping the forearm at the right balance of relaxation vs. tension, and not only reacting with the arms, but with the entire body (see sticky body). The visualization that I try think about is pretending as if I had no arms at all, amputated at the elbow, forcing use of the upper arms, shoulders, and back. But this visualization does not always work, and I find myself tensing up too much in the forearms at the contact point, falling victim to the partner's attacks. Or I move too much at the arm with nothing else from the shoulder and back/waist, legs. Interestingly, one revelation I had about the long pole partner training, was that I had no choice but to "read" the force with the inanimate long pole. The long pole does not have any sensory nerves, and it cannot be tensed up like my forearm muscles. 1) If I used only my arms, then I would fail. 2) If I hiked up my shoulders, then I would fail. 3) If I did not move at my waist, then I would fail. 4) If I didn't have good grounding, then I would fail. With the long pole exercises... I had to have a good stance. I had to use my core. I had to drop my shoulders. I had to move my body. This is just one of many benefits of long pole training for Wing Tsun.